Bayyapu stressed on the need of the IAEA to continue its programmes of support to member states who are embarking on or expanding their nuclear energy programmes. 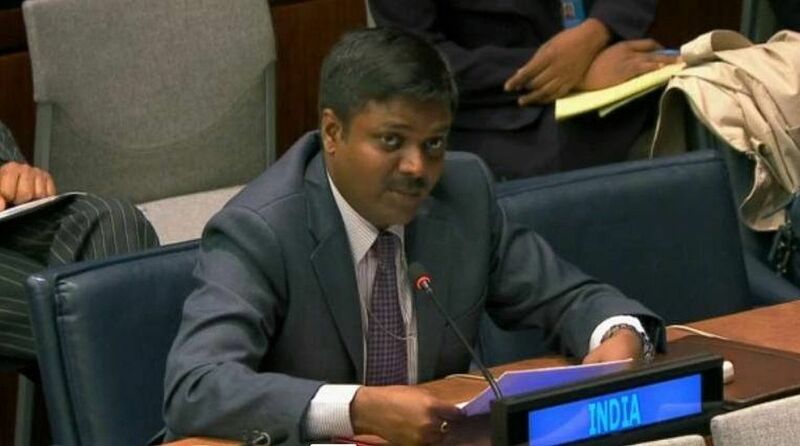 Addressing a UN General Assembly session on ‘Report of the International Atomic Energy Agency’ Friday, First Secretary in India’s Permanent Mission to the UN Sandeep Kumar Bayyapu said India attaches importance to the IAEA’s work in different fields of nuclear science and supports its programme on nuclear fusion. “Nuclear power remains an important option to meet the challenges of increased energy demand, address concerns about climate change, redress volatile fossil fuel prices and ensure security of the energy supply,” he said. In this context, the IAEA’s recent International Ministerial Conference on nuclear power in Abu Dhabi played a significant role in bringing policymakers, scientists, technologists and environmentalists together to examine the prospects of nuclear power. It also needs to support member states in enhancing their capacity to build public acceptance for nuclear energy, he said. Advanced fission reactors, including fast reactors, contribute towards more efficient use of nuclear fuel, and towards reducing radioactive waste volumes, he said, adding that India participated actively and exchanged information on new developments and experience in the field of fast reactors and related technologies during the International Conference on Fast Reactors and Related Fuel Cycles held in the Russian Federation in June last year. “International collaboration under the IAEA would help provide a much wider resource base for future nuclear technology development,” Bayyapu said. India had hosted the 27th IAEA Fusion Energy Conference (FEC-2018) last month in Ahmedabad. The conference provided a forum for the discussion of key physics and technology issues as well as innovative concepts of direct relevance to the use of nuclear fusion as a source of energy.